While automotive technology has changed drastically throughout history, there’s one constant that all automotive combustion engines have in common: an ignition system. In this article, we touch on the features of three ignition systems, as well as advantages and disadvantages of each. High energy ignition (HEI) was introduced by General Motors in 1974 and became the standard for GM engines until the mid-1980s. An HEI system has three main components: an ignition module, a magnetic, pick-up coil and a high-tension coil. HEI systems use a transistorized switch within the ignition module to generate high-voltage current from the ignition coil. This transistor is the primary advantage of an HEI system because it generates a consistent, high voltage spark throughout the life of the engine, meaning fewer misfires and longer spark plug life at around 25,000 miles. Non-mechanical transistors also eliminate breaker point wear. However, one disadvantage of HEI systems is the conventional distributor cap and rotor that will eventually wear and require replacing. Also, the ignition timing cannot be as precisely controlled as with more sophisticated systems. This aptly-named ignition system was introduced in the 1988 and improves on the HEI system by eliminating the distributor cap and rotor entirely. Instead, multiple ignition coils are used – one for each pair of cylinders. These ignition coils fire two spark plugs simultaneously; one on the compression stroke and one on the exhaust stroke. The spark delivered on the exhaust stroke, called a “waste spark” has no effect. This system has several advantages, including fewer moving parts and more precise control of spark timing, which can improve engine efficiency, emissions and performance. Unfortunately, a lack of moving parts can make ignition system problems more difficult to diagnose. These systems also require double platinum plugs due to the additional wear caused by reverse firing. The direct ignition system (DIS) became popular in the late 1990s and is considered the most sophisticated of all ignitions systems. DIS places an ignition coil directly on the top of each spark plug, which provides several benefits. Because each spark plug has its own dedicated coil, DIS systems create hotter, high-voltage sparks without high-voltage spark plug wires, lowering resistance and preventing misfires. An engine control unit (ECU) uses input from various sensors to precisely control ignition timing for lower emissions. There are disadvantages, as well. DIS systems are more expensive and can be more expensive to repair. Due to high heat and voltage, DIS systems come from the factory with iridium spark plugs and only iridium spark plugs should be used for replacement. And like waste spark systems, a lack of moving parts can make ignition system problems more difficult to diagnose. Knowing the advantages and disadvantages of each ignition system type is beneficial when recommending the right spark plug. 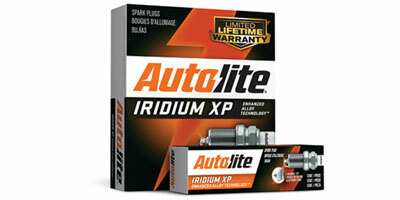 Visit: https://www.autolite.com/products/spark-plugs/ to learn about Autolite’s premium spark plug options for each of these ignition systems. This article was sponsored by Autolite.